She's a-moving on up! 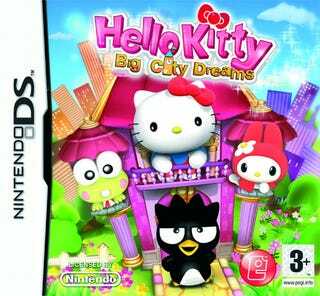 Today wasn't nearly pink enough for my tastes, so I thought I would end my week by offering you folks a look at Hello Kitty: Big City Dreams, a mini-game based title that has Kitty White leaving her home in Sanrio Town to move into the big city after a horribly failed relationship to pursue her hopes and dreams. She starts out living on the ground floor of a huge apartment building and must mini-game her way up to the penthouse, and who doesn't want to see Kitty White in a Penthouse? Empire Interactive's kitty builder is due out later this year. Enjoy the deliciously pink screenshots while take something to calm my pre-E3 giddiness.